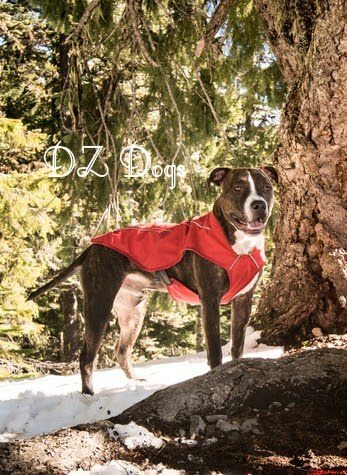 DZ's Adventures: Ruffwear "K-9 Overcoat"
This is not a paid promotional post - we purchased these coats on our own and just wanted to share our opinion with you! With the weather getting cooler I thought I should bring up one of our favorite and beloved Ruffwear products. You can check it out here: The K-9 Overcoat! Having always had long haired dogs even growing up, I never thought about the necessity of any canine jackets until we adopted Dante. Our beautiful boy came into our lives with his short hair, and 0% body fat (maybe I exaggerate a bit). It wasn't long before we realized that with the weather turning sour he'd need a jacket to stay warm. The problem that followed this however was fitting him...He's long legged, deep chested, with big muscular shoulders, big head, thick neck, and tiny little waist! We started off looking in our local pet stores. Nothing I brought home fit, so I brought him into the stores...and still nothing they had fit! I also tried making my own doggy apparel, for someone who doesn't sew much (sorry grandma!) it was harder than it looked! I'll give it another go this season though. Posing while I tried to modify a t-shirt to fit him. "Hmmmmph...I is done with this mom.."
We then ordered some doggy sweatshirts online and they didn't fit right, they were either too tight across the shoulders, cut too deeply under his "arm pits", or could barely fit over his head - thus attempting to choke him! After returning many a failed product. 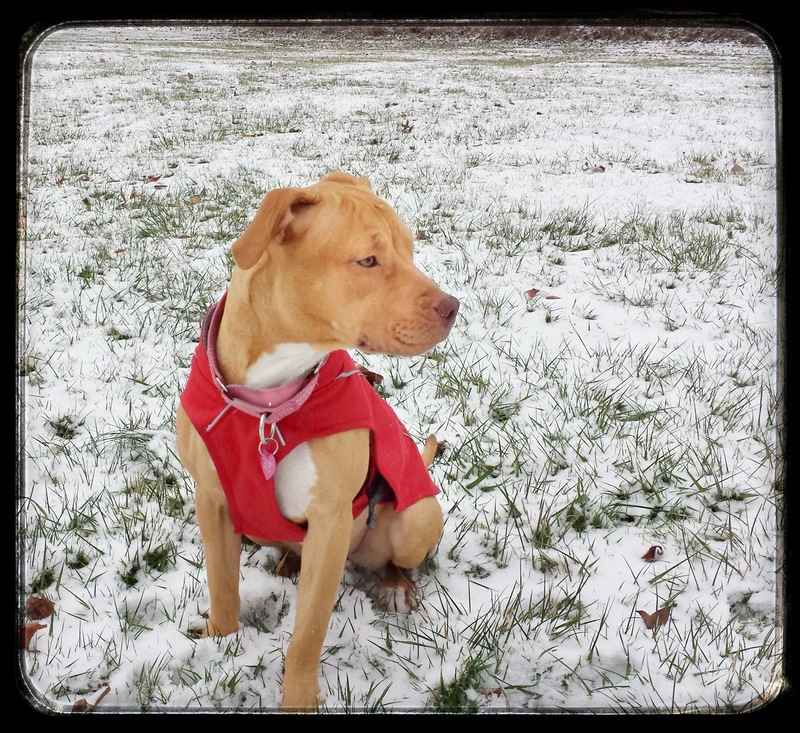 We found Ruffwear's K-9 Overcoat at our local REI and have been hooked ever since! This jacket is insulated with a fleece lining to protect from the cold and provide warmth without being bulky. It's not waterproof but shed's rain nicely and dries fast. It has "low-light" visible reflective trim. The jacket has secure buckle fasteners that allow for easy adjustments, and is easy to put on! Rather than struggling with something that goes over his head, and then having to wrangle his legs in at odd angles - the K-9 Overcoat drops over his head and then the chest piece buckles into place around his rib cage. We love that the jacket completely covers his chest while allowing his legs plenty of room to move and giving him full range of motion, its also easy to wash (gentle cycle in cold water, hang dry). Bonus? It fits! 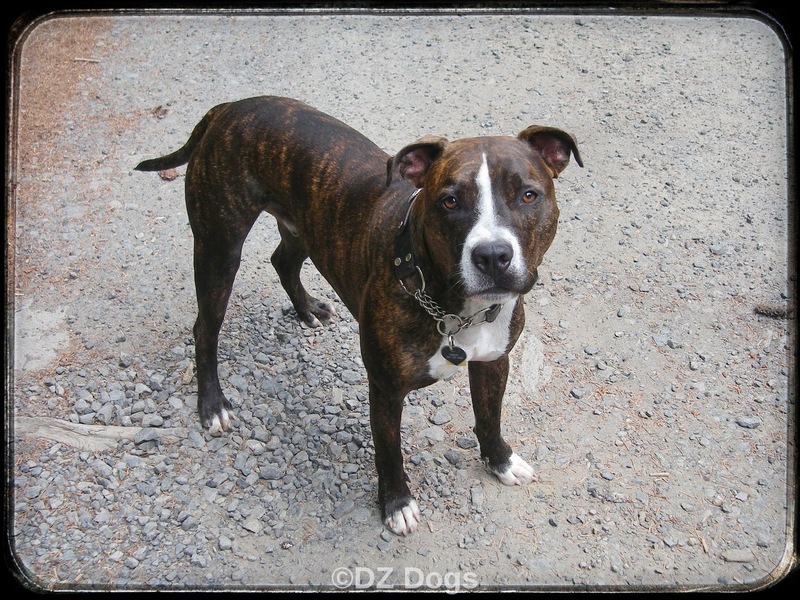 We've been very happy with the adjust-ability and quality in Ruffwear products ever since. He wore his jacket all winter and most of the spring rainy weather. Another great bonus is that because it isn't bulky it's easy to add layers if you need to. We were able to fit a hand knit sweater underneath his K9 Overcoat for extra warmth, and on a different occasion fit a waterproof bulkier jacket over the top for one of our particularly nasty days. But just your average wet or cold weather and its perfect! He even wore is snowshoeing and didn't get cold once! We loved it so much that we made sure to get Ziva one as well. 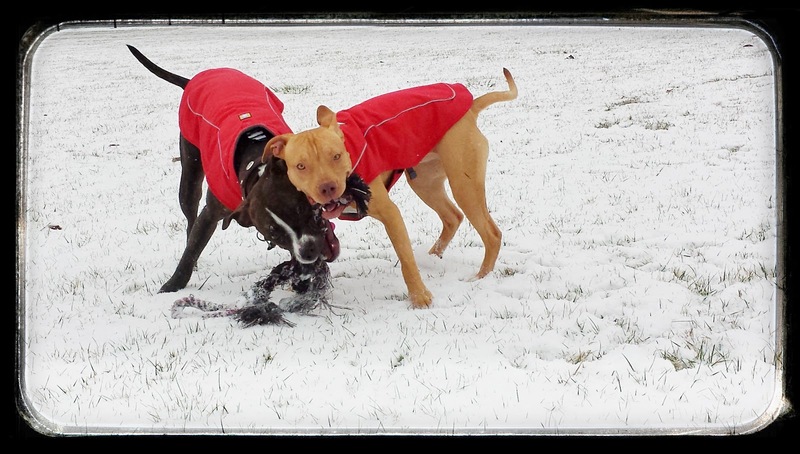 Pups playing in their coats! Happy warm dogs playing in the snow! Please protect your dogs from the cold! Young dogs, old dogs, and dogs with a low body fat are more susceptible to hypothermia than most, but all dogs can be affected. Wrap a hot water bottle in a towel and place it against the dog's abdomen, careful not to burn the dog's skin. Is My Dog's Fur Coat Enough? Wow, Sampson is the same build. Very big head, wide chest and tiny waist. I have the hardest time fitting him for anything!! I googled REI and I have one locally!! I didn't even know they existed, so thank you. And thank you for joining the blog hop also!! What a great review. I've had similar problems in finding coats that fit my Brussel Griffon Poodle mix. Milo is 22 lb pounds with really long legs and a slight waist. He is too big for most small clothing, and too small for most mediums. The ones that do seem to fit don't seem to understand the anatomy needs of male dogs, and are either too tight across his privates or would have him peeing all over the coat. I've finally found a raincoat and a winter coat that fit. Next time I need something, I'll definitely try the REI store for Ruffwear. It never occurred to me to look there for dog wear! Ha ha ha! We have been fortunate to find things that work for Barry but that coat looks perfect! I am no seamstress myself but I wind up cutting and sewing many of Barry's sweaters and coats for a better fit. They always look great in your pics!! That hmph photo is oh so cute. Happy Thoughtless Thursday! Thanks for linkin up with us! PepiSmartDog: Wow! What a great post. Dante has the shape of a body-builder! BOL. Love your photos and video.